Despite the threat of a global health crisis in antibiotic resistance, worldwide use of antibiotics in humans soared 39 percent between 2000 and 2015, fueled by dramatic increases in low-income and middle-income countries (LMICs), according to a new study in the Proceedings of the National Academy of Sciences (PNAS). The study, which analyzed human antibiotic consumption in 76 countries, is the most comprehensive assessment of global trends to date. 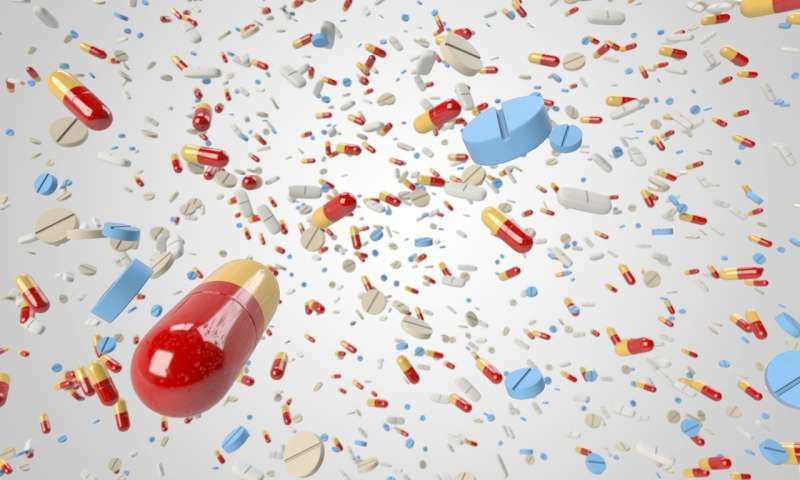 Researchers from the Center for Disease Dynamics, Economics & Policy (CDDEP), Princeton University, ETH Zurich and the University of Antwerp conducted the study, which found that antibiotic consumption rates increased worldwide from 11.3 to 15.7 defined daily doses (DDDs) per 1,000 inhabitants per day between 2000 and 2015. DDDs are a statistical and standardized measure of drug consumption and represent the assumed average maintenance dose per day for a drug used for its main indication in adults. "Finding workable solutions is essential, and we now have key data needed to inform those solutions," said CDDEP researcher and study co-author Eili Klein. "Now, more than ever, we need effective interventions, including stewardship, public education, and curbing overuse of last-resort antibiotics." Consumption increases in LMICs were driven largely by economic growth—a pattern not seen in high-income countries. "We must act decisively and we must act now, in a comprehensive manner, to preserve antibiotic effectiveness," Laxminarayan said. "That includes solutions that reduce consumption, such as vaccines or infrastructure improvements, particularly in low-income and middle-income countries. New drugs can do little to solve the resistance problem if these drugs are then used inappropriately, once they are introduced."